Gérôme, to-day, in France, the popular painter of France, is closest to the moral spirit and best shows the intellectual traits of his time. Jean-Léon Gérôme (1824–1904) was one of the leading French Academic artists of the late 19th century as well as a highly influential teacher at the École des Beaux Arts in Paris. His paintings consisted primarily of tableaux drawn from the Classical past and Orientalist genre scenes set in the Near East. Gérôme researched his subjects thoroughly and used a meticulous, descriptive, and polished technique that made his scenes near-photographic. They thus appeared scientific to audiences of his time. Often depicting quiet dramas and spectacles, he sought to express the essential character of his motifs rather than to impart didactic messages. It is not surprising that his work is now seen as a precursor to the Hollywood films of D.W. Griffith and Cecil B. De Mille (as explored in an exhibition at the Getty Museum in 2010). Gérôme was also active as a sculptor. Using semi-precious materials and polychromy, he produced innovative works, similar in verisimilitude to his paintings. 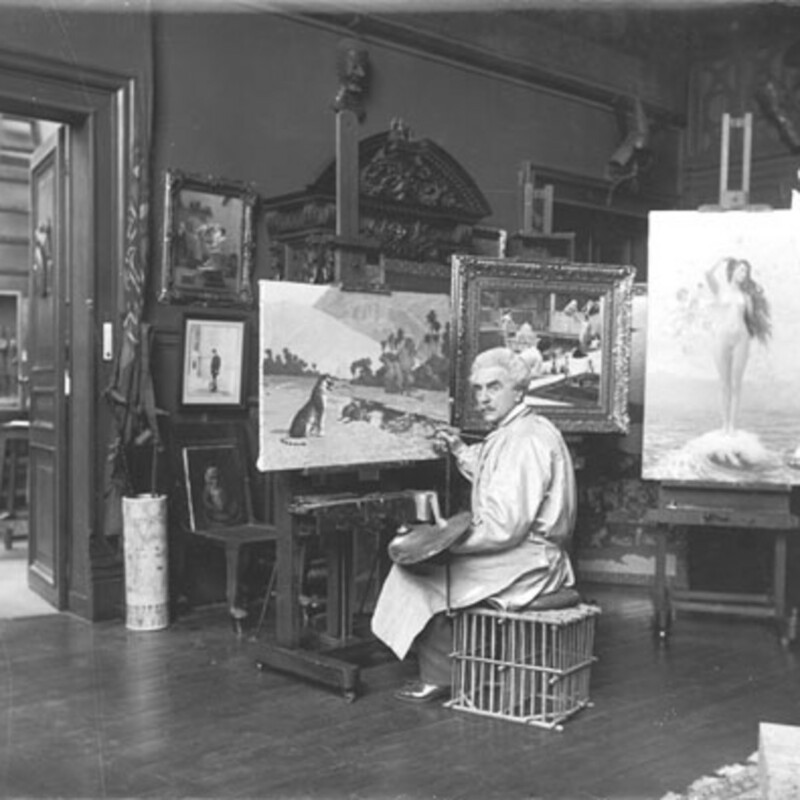 Among Gérôme’s students were many prominent American artists, including Thomas Eakins, Julian Alden Weir, Abbott Thayer, George deForest Brush, and Frederic Bridgman, all of whom derived much encouragement and guidance from their agreeable and generous teacher.